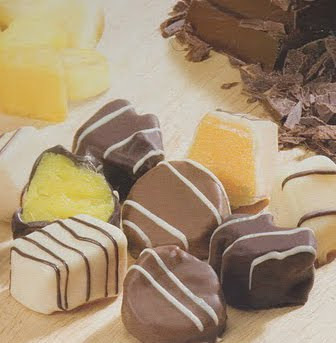 I discovered these delicious Belgian Chocolate Fruit Chocs fruit bites on my last trip past the freezer section of my local Costco and had to share them with you (well, you wish!) They're delectable 100% real fruit, dipped in Belgian milk, dark and white chocolate. Best of all, they average about 25 calories each. They're best eaten when cold and not frozen but I can never wait!